Tony Dungy will soon share one of his favorite, funny stories from his relationship with Peyton Manning. Yet right now, the former head coach of the Indianapolis Colts is telling a poignant story from his relationship with his wife of 31 years, Lauren. The story begins with Dungy recalling a time in their home when the youngest of their three biological children was about 9. Dungy had believed the process could take as long as a year. 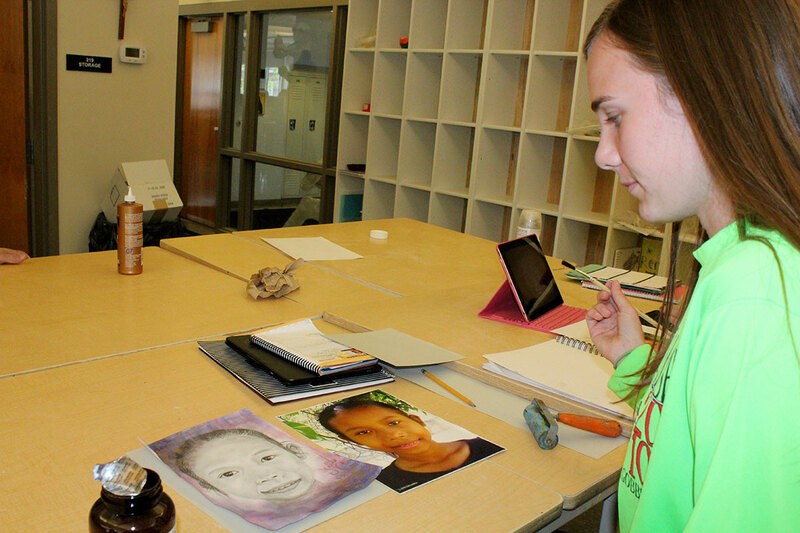 After hearing the timetable from the woman, Dungy focused on some of the beliefs that guide his life. The Dungys adopted a 1-day-old boy. In the 13 years that have passed since then, the couple has adopted five more children, the youngest now 9-months-old. “At first, Lauren told me, ‘If we could adopt one more child, I think our family would be complete.’ And that was number four. And now we’ve got nine. I should have known it wasn’t going to be just one more,” Dungy said with a laugh. Started at Cathedral 12 years ago, the Dad’s Day concept has spread across the country and the world with the help of All Pro Dad, an international organization that Dungy helped found to assist men to become better fathers. 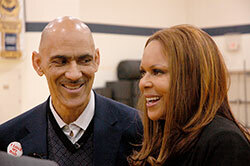 Dungy’s appearance at Cathedral also highlighted the launching of Uncommon Marriage, the recently published book that he and his wife wrote with Nathan Whitaker. “Just knowing where marriages are in this country and the fact that we don’t hold them in as high esteem anymore as maybe our parents did, we thought we could write something encouraging,” Dungy explained to the Cathedral audience. In an interview after the talk, Dungy emphasized the role of faith—and a couple having a relationship with Christ—as a foundation for his marriage and all marriages. The Dungys also focus on two other key points in a marriage, with number two being commitment to each other. “God puts marriages together permanently,” Dungy said. “And so you really have to be committed—that that’s what’s going to happen no matter what. “And number three is communication. That when times are difficult, to make sure you’re communicating, you’re talking, and you’re listening to your spouse. Dungy’s eyes shined when he talked about his wife. In his talk, Dungy also focused on one of the great lessons he learned about family and football—a lesson that set the stage for one of his favorite, funny stories about Peyton Manning. The lesson came from Chuck Noll, the only National Football League coach to win four Super Bowls. During Noll’s tenure as the head coach of the Pittsburgh Steelers, Dungy played for him for two years and was a coach on his staff for another eight years. Noll stressed that family perspective so much that he made Saturday morning practices before a game open to the families to attend. Dungy followed that approach during his years of coaching the Colts. “In our first coaches’ meeting, I said, ‘I want everyone to know that our building is totally on-limits to your kids anytime.’ I don’t think the guys took me seriously. About two weeks later, we’re in another coaches’ meeting, and there’s a big crash in the hallway. And nobody can figure out what was going on. Still, Manning wanted to make an audible—naturally—to one part of the family-friendly plan. Dungy then shared one last twist of that story. It happened during Manning’s first pre-season with the Denver Broncos two years ago. Dungy arrived in Denver to do an interview with Manning, by then the father of twins. Before he reached Manning, Dungy was greeted by another one of his former Colts playing for Denver. Dungy flashed a huge smile as he finished that story.